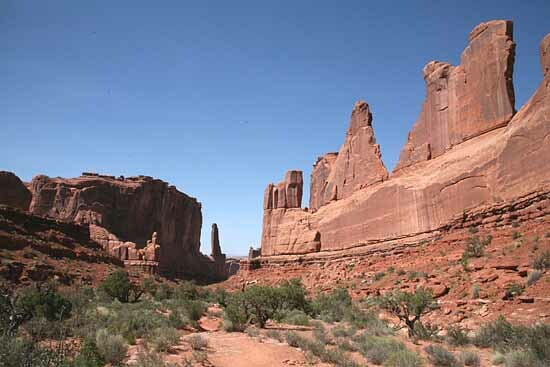 Park Avenue Trail. 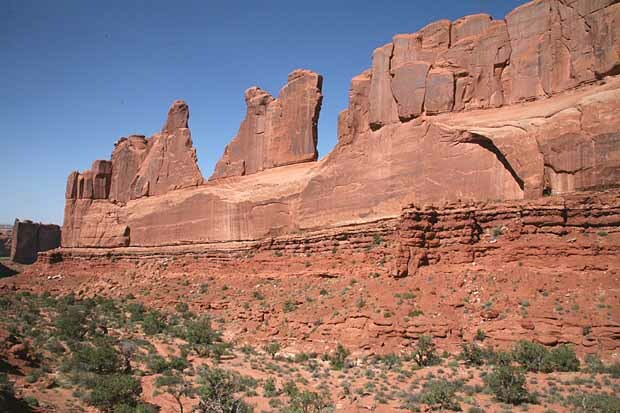 The Park Avenue Trail is one of the very first trails that one comes to on entering Arches National Park. 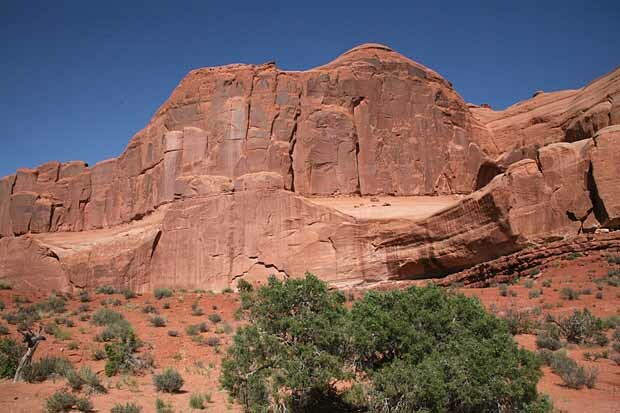 Like Park Avenue in New York, this trail offers an easy hike along the canyon floor with close-up views of massive fins, huge balanced rocks, and lofty monoliths. 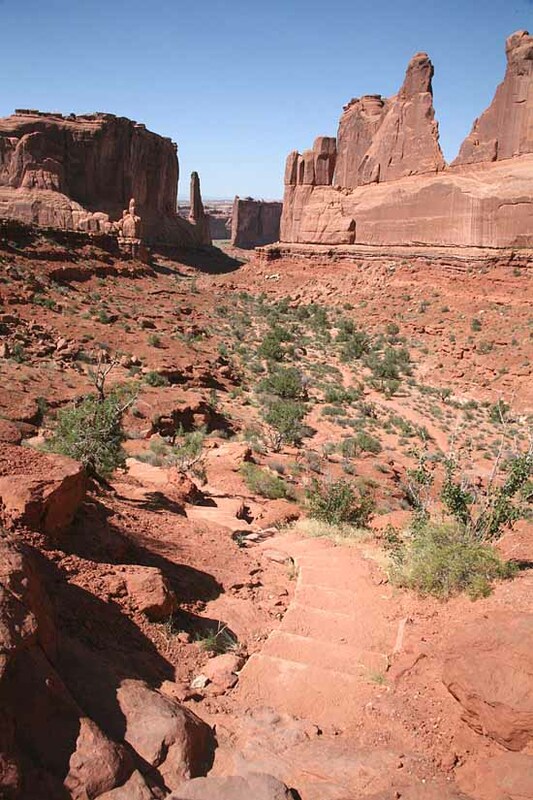 Unlike Park Avenue, it also offers a bewildering variety of abstract designs in the stone floor of the trail that most people miss because they are captivated by the magnificence of their surroundings.